Week 13 – half way there! Christmas is a time for family – and this year is a bit harder than most as we’ve lost our dear dog Seamus, who was more like our child than our dog. Our nieces have lost their Dad and are staying at their respective homes in New York City and San Francisco. So, it’s a teary season for me this year. I feel blessed that we have great friends and colleagues, lovely food and amazing sunshine! I’m playing with the words “cloud,” “lightning,” and Newton (actually, Newton’s “apple” and his theory of gravity). Isn’t it interesting how words penned decades ago can have quite different meanings today? So, I’m playing with words and doing my very best to be very, very, very happy through my tears of grief. If any of you are also grieving, I would suggest you go to www.TheLightBeyond.com which was recommended to me by another wonderful MKMMA member. May we all come into an understanding of the beauty, the grandeur, the transcendental opportunities which have been placed at our disposal and spread Peace, Joy, Love, Music, Health & Prosperity throughout the world. Masterkeywendyht – Week 12 – Blog: LIFE CHANGING DMP’s and the COURAGE TO DARE! So, while this Fall’s activities had been known since the Summer, I’d begun wondering what would be happening in the New Year and doing my best to stay positive about that…and having faith that the work would “just come.” And, it is definitely coming in…in terms of private sessions, classes, etc. People in pain are also beginning to find me here on the Sunshine Coast, for which I’m truly grateful. And, of course, the primitive and postural (childhood) reflexes often play a part in physical, mental, or emotional pain, so I’m thrilled to be able to clear the pain on many levels – brain-body-sensory-motor integration. I’ve discovered that the amount of travel I’ve been doing is just a bit too much for my liking. I came home from my Calgary / Toronto trip and immediately launched into my music teaching schedule; then, after 1.5 days I was travelling back to North Vancouver to teach another 3 day course. I came home on Monday and have travelled and taught each day; attended concerts in which my music students were performing solos; conducted an online Skype specialized kinesiology session and an in person specialized kinesiology session. And I have slept and slept and slept. And I’m behind in my MKMMA activities. And I’m not sure how I can get caught up. I feel I either require a secretary or a new method of keeping track of my tasks, my personal and professional contacts, etc. It’s been too easy for me, in the past, to have people drop through the cracks because I’ve misplaced an email or a phone message. A new computer with a completely clean email IN BOX would be awesome 😉 Although I’d still have to transfer information over to a new computer, wouldn’t I?!!! Am I doing too many different kinds of activities? Possibly. There’s my DMP of co-creating an Emotional Healing Centre for Survivors of the Residential School System. And there’s the teaching of certificated courses in order to educate parents and seniors, as well as the educational and medical systems, about the importance and power of integrating the childhood reflexes. And there’s also my teaching of singing, harp, performance enhancement; re-writing the RMTi School Readiness manual for musicians; creating my own manual for musicians which will be an introduction to each of the main modalities I teach, which would lead to certificated courses in each modality; playing harp for one or two weddings a Summer; playing harp ensemble (for my soul) with 2 or 3 of my students; finding a way to work my network marketing business as an adjunct to my specialized kinesiology business; creating order in my home; creating order in my business; as well as finding time to spin and knit as a form of meditation. I know I’m feeling exhausted, so I’ve given myself permission to sleep 1 to 5 extra hours a day while recovering from my 3 week-ends of teaching workshops and travelling…so I can remain healthy and be able to move forward now and in the New Year. A small part of me would like to give up now, so that I wouldn’t have to “catch up” with everyone else. Yet, I recognize that this is my old blueprint urging me to fall back into old patterns. I believe I have “knowledge of my power” and “faith” in the MKMMA programme and the Universe to keep me moving forward. Obviously, it’s the “courage to dare” that requires some diligence on my part. I realize that as long as I follow the natural laws Haanel shares with us, I can create my ideal “anything” – home, business, friends, etc. I realize that I am not restricted to materials or cost, for if I use my power of thought, which is omnipotent, I have access to the Infinite bank of primary substance…and that infinite resources are truly at my command. And I have to have the courage to dare!! Still, Paragraph 6 says that, “But your ideal must be sharp, clear-cut, definite; to have one ideal today, another tomorrow, and a third next week, means to scatter your forces and accomplish nothing; your result will be a meaningless and chaotic combination of wasted material.” And I recognize that that’s been what’s happened for me in the past. Haanel even says that having more than one focus can be the cause of loss of wealth. Yet again, I can see that this has happened to me in the past. I’m now recalling that, in applying for my PIF scholarship, I said I could set aside some activities for 6 months while going through the course in order to focus on the course. So, I will persist in making MKMMA and my DMP my focus, and I will succeed because I continue to use my thoughts to bring my DMP to fruition. And I develop my courage to dare!!! I guess I’ll be getting into the Alliance section of the MKMMA home page to request assistance in how to deal with Twitter and Facebook. Since competitions are not my thing, I also have some work to do on incorporating the current competition into my experience of the MKMMA. Here’s to creating Life Changing DMP’s as we persist in developing the Courage to Dare! I feel like I’ve been on the road since the middle of October! And with the exception of a week or two here and there, I HAVE been on the road since the middle of October and my teaching trip actually ends after this week-end’s class in Vancouver. I’ve had the most wonderful time teaching classes in Calgary and Toronto over the past 2 week-ends and I’m looking forward to teaching my 3 day class again this week-end in Vancouver. In both Calgary and Guelph, I got to stay with very dear friends who just happen to be professional chefs and writers of cook books!!! I’ve practised the art of giving and receiving graciously. I got to go out to dinner with the friend and colleague who sent me the link to MKMMA in September and we did some Go90Grow training over a lovely Thai dinner! Amazing!! The transformations in people in my classes have been extraordinary! One person went from being unable to look at the class members in the opening circle (very typical of a retained Fear/Paralysis Reflex) to absolutely glowing at the end of the class and looking all of us directly in the eyes. She “found” the class at the very last minute and has said she’ll be at my next training in Alberta 🙂 Oh, THIS is why I do this work. And, there are at least 2 people in each of 2 classes who would like to become instructors of this modality. And THIS is why I’m willing to travel – to get the word out about the work; to inspire others to become practitioners and instructors of the work; and to work with some of my class participants as clients via Skype afterwards (and to visit my chef friends ;-)) Requests for these sessions have already begun from this trip and I’m seeing all sorts of opportunities appearing “out of the blue” – again! One session that I did almost immediately after the Toronto class has produced a sharing of “sessions” in exchange for information on the tech and e-campaign side of my business. Wow!! As a result of the Calgary class, I’ve been invited to teach up in Edmonton in March – possibly on the same trip as a teacher training course (level 3 of one of my modalities that I already teach) I’m choosing to take in Houston, TX in mid-March. And the head of the Early Years Learning Centre, in Toronto, has invited me back to teach in the Spring and at that time she wants all her teachers to take the School Readiness course! So that’s wonderful! And, at someone’s suggestion, I booked an Airbnb that turned out to be only 5 blocks from the Learning Centre and one block away was a take away that did Gluten-free and Vegan meals that were absolutely delicious! And my Airbnb host is very happy to have me return any time I like, so I’m a very happy camper! I’ve come home to “more work” – private sessions for people locally, which is a completely new experience. And they’ve had to “wait” to see me because of my teaching trip. Lovely to have a waiting list! A couple of my colleagues are booked 2 to 3 months in advance. I’m getting used to that, too! So what have I gleaned this week in Lesson 11 and the GS scroll 3? I’m certainly seeing some parallels between these writings…trust, faith, belief – without “seeing” the end of the journey. Haanel says, “We are first to believe that our desire has already been fulfilled, its accomplishment will then follow” and that “We are thus thinking on the plane of the absolute and eliminating all consideration of conditions or limitation and are planting a seed which, if left undisturbed, will finally germinate into external fruition.” This is definitely what’s been happening for me since the middle of October. It’s phenomenal! So, Mahalo for all the work you’ve done…each and every one of you. What a wonderful week this has been. I spent the week-end teaching a workshop in Calgary, Alberta and received some very gratifying comments from colleagues who were taking the course. In fact, I’ll be asking for a testimonial or two 🙂 And someone from Edmonton who was in the course is likely going to sponsor a class for me in Edmonton, Alberta in the Spring – so that’s wonderful. Other things appeared out of the blue, too. The class sponsor is someone who would like to be an instructor of this particular course and he arranged for his partner to take pictures during the class – as well as creating a waiver for class participants to sign, so that I’ll have photos for my website and my marketing pieces. All that without me having even spoken about my lack of photos for marketing purposes. I’ve always just been so focused on the class itself and on the participants, that I’ve not thought of photos until after the class has ended. Now, we will both have access to these photos. Amazing! I feel very connected to this week’s Lesson 10, as it returns to the theme of Electricity. One of the specialized kinesiology modalities I teach is called SIPS Kinesiology (Stress Indicator Point System) and it’s all based on Ohm’s law. So, the explanation of creating a circuit only if we are in harmony with the Universal Spirit is something I work with every day…and just one more reason for me to feel “at home” in the MKMMA. Paragraph 19 of Lesson 10 states, “If your thought is in harmony with the creative Principle of Nature, it is in tune with the Infinite Mind, and it will form the circuit; it will not return to you void; but it is possible for you to think thoughts that are not in tune with the Infinite, and when there is no Polarity, there is no circuit.” We know that when a dynamo is generating electricity, if the circuit is cut off, the dynamo stops. And Haanel tells us that it is the same with us…if we entertain thoughts which are not in harmony with the Infinite Mind, there is no Polarity, there is no Circuit. The Law of Substitution is of paramount value here. So, in order to be able to manifest our Heart’s Desire, we must have a definite Ideal…a Definite Major Purpose…which must be both creative and be in harmony with the Infinite Mind. Tomorrow, I begin teaching a 3-day workshop in Toronto and things have simply “fallen into place” – and I’m certain it’s because of the MKMMA programme. I am so very grateful for being given the opportunity to teach this wonderful work to colleagues this week-end. And, when the week-end is over, I’ll be spending another couple of days with very dear friends – both wonderful chefs – before heading back home to teach the workshop in Vancouver. The law is definitely providing Abundance for me and I’m really seeing that, for me, “being in service to others” is the way I can most easily market my courses while working on my Definite Major Purpose. With this in mind, I recognize that it’s time for me to begin re-working my website and marketing literature so that everything is in alignment with my DMP and in harmony with the Universal Mind. Clarity of Vision is required…and I will…I do…persist until I succeed. Mahalo to everyone for your wonderfully inspiring blogs this week. How is it that when I’m out on the road teaching, and therefore with even less time available for my MKMMA work, I find a calm within that simply lets me do the work that’s required. At home, it’s actually more difficult to create that time. So, after the challenges of week 8, I have now made a simple choice to succeed and to stay the course of the MKMMA programme. What have I gleaned from Lesson 9? Haanel reminds us of the axiom: “two things cannot exist in the same place at the same time.” Therefore, a choice, a fork in the road, is in the offing. So, what are you to do if you fall into the fear / impending doom category, and you would prefer to be positive and confident? The solution is simple, though not necessarily easy…thoughts blossom into action and actions create conditions…positive or negative…cause and effect. The choice is yours in terms of what you will manifest. And, it’s important to remember that just as light destroys darkness, positive thought will destroy negative thought. Haanel suggests that we choose a positive affirmation which suits our personal situation, and that we repeat the affirmation whenever a negative thought or a challenging situation arises, thus replacing the negative with the positive. and that spirit is also creative. It is suggested that we take this affirmation into the silence, until it sinks into our subconsciousness. Therefore, if we choose to create Health, Wealth and Love in our lives, it is important that we choose to be in harmony with the Infinite and Omnipotent power, for we are One with the Infinite “I.” And not only are we to repeat this positive affirmation, it is even more beneficial if we also affirm it for others. This is crucial, as Haanel states that the more we give, the more we receive. Sound familiar? A little like Haanel? Today, I greet the world with Love in my Heart and give Thanks to one and all who have been with me on my life’s journey. And I give thanks to those who are with me on this MKMMA journey – those who have become a close and supportive family over these last 9 weeks. MASTERKEYWENDYHT’S BLOG – WEEK 8 – A Refusal of My/Your Call to Greatness? A REFUSAL OF MY / YOUR CALL TO GREATNESS? In Part 8 of the Master Key, we learn that we may freely choose what we think but the result of our thought is governed by an immutable law and that this law is the secret of the origin of both good and evil, as well as the Law which makes the Universe one grand paean of Harmony. The first task to be done out of order was the 7 Day Mental Diet – which I did between being notified of of my Pay It Forward Scholarship and the the actual commencement of the MKMMA programme. For me, this was the ideal time to do this, as I was sooooo wanting to get going with the programme and it was a way I could do this. The second task I did out of order was when I read Scroll II of the GS early – having forgotten that we were to read each of the GS chapters for 30 days before moving onto the next scroll. 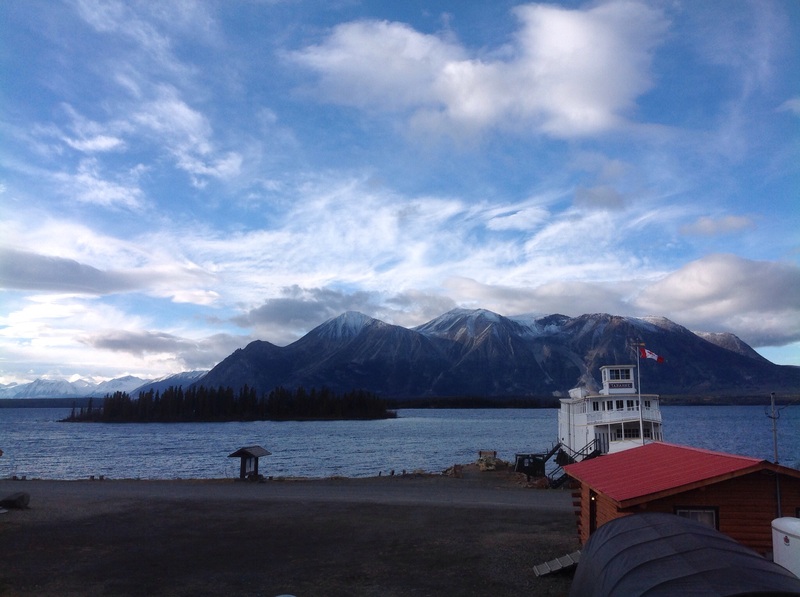 My early reading of Scroll 2 meant that when I went up North to the Yukon, to teach classes and see 20+ clients over 2 weeks, I was able to greet each day, each class participant, and each client with Love in my Heart. I did exactly that throughout the whole of the 2 weeks of my trip North. And, like Mark J’s life direction being changed by the letter from one person (Betty?? ), my Dharma presented itself in the session of one particular client. Everything for my DMP just flowed (hmm, being “in the flow” am I?) from this one session. I am so grateful to this client, who asked if she could bring her whole family down from the far North to work with me on the Sunshine Coast (South Coast) of British Columbia. Prior to this trip, I had gone from someone who knew about the principles found in the Master Key – yet I felt and said to others that “no one on the Sunshine Coast wants my work.” And, so that’s was what was showing up. The results? Lack of income and lack of self-esteem. 3 weeks after beginning the MKMMA programme, I was living my bliss of teaching classes in specialized kinesiology and working with clients, including those dealing with PTSD. My income basically quadrupled. How did this happen? Prior to going up to the Yukon, I had given my time and talent, often for no remuneration and with no real expectation of return from that particular person or group. I had been giving to the Universe. And, the Universe began giving back to me in the form of, yes, monetary abundance, but also my Dharma being revealed to me. I’m so grateful to everyone involved with the MKMMA for this, as I’ve worked for years to figure out my Purpose. First, I took the initial shock and its physical, mental and emotional effects and tossed them down my Mental Diet Garbage Chute, and replaced those effects with the mental picture of a tiny lake in the Ontario wilderness where I am standing on ‘fire rock’ singing “O Sun Father, Light of the World, I come to you, I sing to you, my Spirit Soars, I am one with you.” That allowed me to send only Love and Light to everyone “hurting” in Paris, to the souls of those who had been killed and to their families, to the wounded and their families, to the parents of the terrorists, and even to the terrorists – for what road had these people travelled that could allow them to commit these acts? Thank goodness for the Law of Substitution. My nervous system was supremely grateful! Reading other people’s blogs last week, I saw that some people on the MKMMA programme were struggling with negative thoughts about the Paris attacks. I wondered if there was something wrong with me…that it had been so simple for me to send Love and Light to all involved. It was lovely, and a bit of a relief, to read of people coming round so quickly this week to choosing to forgive the terrorists – all due to the work everyone has been doing on the MKMMA programme. How powerful is that? So, how could I have been so tempted to quit this week, when I had voiced to someone just this past week that MKMMA is my “rock!”? Exhaustion is one reason. Truly, I’m wearing too many hats in my business – I require a secretary!!! A secretary who knows how to use social media so I don’t have to learn the technology!!!! Yes, I’ve let my Digital Connections viewing slide because of my much heavier workload. I’ve been home only 2 weeks since mid-October and I’m about to fly to Calgary to teach next week-end and then on to Toronto to teach a 3 day class the following week-end. And, I’m such a home body!! Yesterday, I had a good conversation with myself. Through all the traumas that have occurred in my life, I have always had a belief in God, a Higher Power, a Creator, or Universal Energy, whatever you call this Infinite “I.” Even at 7 years old, when my mother had taken me away from the family home, I had a strong belief that God would get me out of this situation. And, I had the strength of will to write to my Dad every night, unbeknownst to my mother. Those letters convinced a judge to give me into my Dad’s custody the day before my 8th birthday – a 1 in 100 chance back in 1959. A rather good example of Lesson 8, Paragraph 9, I think: “Imagination is the mighty instrument by which every discoverer, every inventor, opened the way from precedent to experience. Precedent said, “It cannot be done;” experience said, “It is done.” ” Yup! I now choose to see that my balking at learning the technological tasks, such a seemingly small item, was really part of my refusal to my call to greatness – possibly because it had always seemed dangerous for me to be in the world without. Social media and technical success will definitely put me into the world without. Paragraph #33 continues from where I left off above, “When the thought has been trained to look below the surface everything takes on a different appearance, the insignificant becomes significant, the uninteresting interesting; the things which we supposed to be of no importance are seen to be the only really vital things in existence.” Yup. Week 7 of the MKMMA programme seems to be putting all sorts of principles from the preceding weeks together in a very coherent way. It turns out that Haanel studied Wallace Wattles’ work, which I had also read. I find it interesting that I’ve read a number of the books we’re using in MKMMA and yet it’s only this time around that I’m really finding practical changes happening. I believe that’s due entirely to the fact that Mark and Davene have added exercises/assignments, guides to assist us in forming our DMP’s, digital / social media training webinars, brain information, and additional bonuses like the speed-reading webinars and the Oats time management information into the MKMMA programme. This is truly a programme like no other. I feel so blessed to be in the MKMMA. I’ve been on the road this week – driving with my husband for 12 hours up to the Interior of BC to work with students at a Montessori School for a day and a half – then driving back to Vancouver for a stop over. We’ll return home tomorrow. Reading was a bit of a challenge, yet I followed through on my plan to take Andrei’s Photo-Read webinar. I’m so glad I did! Andrei is an fabulous presenter and I thank Andrei, Mark and Davene for bringing this webinar to fruition – a phenomenal gift to the MKMMA members. Mahalo. Like my trip to the Yukon and Northern BC a few weeks ago, this trip was originally to have happened in September, then October, before it finally materialized this month. While the driving was very tiring, it was a very rewarding trip in terms of working with the children on how to best develop their scholastic, behavioural, attentional, and emotional selves. I think both trips being delayed until I was “in” the MKMMA programme was a very positive thing and reflects Haanel’s writing for this week. In the introduction to Lesson 7, Haanel compares the objective and subjective aspects of our being – the personal being the conscious entity, while the impersonal is the subconscious being which “is not conscious of itself…” The introduction discusses how these two aspects of our being work according to universal laws and that we are at choice as to how we will create our future. The “personal” has the power of will and the power of choice, therefore having the ability to select methods to bring about the solution of difficulties. Whereas, the “impersonal,” or spiritual, being is part of the source – the origin of all power – has not the “choice” offered to the personal being. However, the impersonal has INFINITE resources at its command, as it is part of the universal whole. We are told that “You will therefore see that it is your privilege to depend upon the human will with all its limitations and misconceptions, or you may utilize the potentialities of Infinity by making use of the subconscious mind.” This is what Andrei was presenting to us on Thursday evening in his Photo-Read webinar! Materialization, which occurs as thought leads to action, action helps to develop methods, methods develop friends, and friends bring about circumstances which will accomplish our desired harvest. Haanel cites the process of architects and of inventors, such as Nikola Tesla, who was one of the greatest inventors of all time. Tesla worked always from a mental image, gradually adding details over time, until he could visualize in his mind every aspect of his project or device. He did not waste time in making mock ups or test models, he worked completely in his imagination until he had worked out all the solutions to every problem he could possibly encounter, then he brought his project to fruition. In twenty years, without exception, he worked in this way and his devices were always brought forth fully formed from his brain and never did he have to go back and make corrections. Haanel also states that those who seek only for wisdom from within, and give no attention to the world without, will find this wisdom unfolding to disclose the source of all power, and that this truth will find expression in noble purpose and courageous action. This is what the MKMMA programme has given me. Having a “noble purpose,” I was able to plant seeds for my trips to the Yukon, to Northern BC, to the Interior of BC. And, having no specific thoughts of what my earnings would be – simply greeting each day, each client, each class participant, each student and each staff member with love in my heart – abundance is showing up everywhere. My “take away” from Lesson 7 is that as I plant seeds and visualize outlines and details in my daily SIT, new channels and doors open to me. I promise to keep an open mind and I am ready to act upon new opportunities as they present themselves to me. MASTERKEYWENDYHT’S BLOG POST – WEEK 6: FOCUS – AT LAST! How and where to begin? The Master Keys Lesson? Emerson’s essay on Compensation? My ever changing DMP? The MK workbook? The GS scroll for November? I think it’s best to begin with FOCUS and ATTENTION. Everything we’ve been learning this week can be boiled down to FOCUS. In the GS, almost every paragraph is prefaced with the statement, “I will greet this day with love in my heart.” In the MK lesson, we are told that “…success is contingent upon the highest moral ideal, which is ‘The greatest good to the greatest number.’ Aspiration, desire and harmonious relations constantly and persistently maintained will accomplish results. The greatest hindrance is erroneous and fixed ideas.” In paragraph 5, we discover that the secret of all mental power is that it depends entirely on the mechanism which we attach. What is that mechanism? The greatest piece of mechanism which has ever come into existence…the brain of man. And in paragraph 9, we learn that our mental world is omnipotent, omniscient and omnipresent…it will respond to our desire in direct ratio to our purpose and faith…with purpose being creative and constructive and our faith being strong enough to generate a current of sufficient strength to bring our purpose into manifestation. That’s huge! I realize that for the last 10 years, while I’ve continued to study the most advanced forms of specialized kinesiology and served on our national association board, I’ve felt like I’ve been asleep or living in limbo. There just was no “spark” of “purpose” in my life. I’ve had several careers and my interests are many. Perhaps too many? It’s so easy to become completely immersed and fascinated by the work at hand “in the moment,” whether I’m teaching a harp lesson, a singing lesson, a certificated workshop on brain-body-sensory-motor-childhood reflex integration; working with someone in a private session on performance anxiety, trauma recovery, or learning challenges; spinning, weaving or doing lace knitting; or singing, playing my harp, or reading a course manual on anatomy and physiology of the brain. So, one of my main reasons for applying for an MKMMA scholarship was knowing that we would have one-to-one coaches to assist us in finding our Definite Main Purpose – something which had eluded me in other programmes and, therefore, meant I had never succeeded in those programmes. Finally, with the help and insights of my wonderful guide, Lorelei Dann, I’ll likely be doing my last re-write of my DMP tonight. My Personal Pivotal Needs were Autonomy and Liberty and I was having a major challenge bringing Autonomy into my DMP. After my last DMP re-write, Lorelei asked if one of my PPN’s might be Helping Others, rather than Autonomy. That made all the difference to me – because that’s always been at the core of my work, both as a performer and as a practitioner / instructor of educational and specialized kinesiology. Somehow, I’d not wanted to ask to change my PPN as it felt like I was copping out. Yet, what’s the use of trying to force a square peg in a round hole? That’s the old blueprint 😉 So, I’m thrilled to know that very shortly, I’ll have that part of the programme completed for now and therefore be able to get all of the extra readings done and my posters created for my daily viewing. It’s interesting that I’ve been needing an extra 3 hours of sleep each afternoon – probably from the excitement of working with such wonderful people up North and really giving the sessions and teaching of classes 120% of my energy. It would have been so easy to have quit the programme this week, yet I knew that was my old blueprint waving that flag at me. So, I allowed myself to catch up on my sleep rather than push, push, push myself through to exhaustion. The MK Lesson does state that “To be in tune with eternal truth we must possess poise and harmony within. In order to receive intelligence the receiver must be in tune with the transmitter,” so I felt I was following that teaching. The comparison of focusing a magnifying glass on one spot, in order to create fire, with focusing one’s attention on a single purpose to produce success was particularly telling for me. “…let power be dissipated by scattering the thought from one object to another, and no result is apparent” has obviously been one of the challenges in my life. I am so grateful for the MKMMA programme helping me to finally produce a focus for my life’s work…working with trauma survivors, particularly the First Nations students who survived the Residential School system in Canada in the mid-20th century. This is something I can focus on within my practice on the Sunshine Coast, while travelling to teach certificated classes across the country. My intention is to create a Centre for Emotional Healing for Survivors of the Residential School system, in cooperation with the Shishalh First Nations people on the Sunshine Coast, where people can come from all over Canada to heal in this beautiful “Super Natural” environment of the South Coast of British Columbia. I’ll end this blog post with a quote from the GS: “I will greet this day with love in my heart. And how will I act? I will love all manners of men for each has qualities to be admired even though they be hidden. With love I will tear down the wall of suspicion and hate which they have have built round their hearts and in its place will I build bridges so that my love may enter their souls.” Mahalo, all. I am truly amazed at how the MKMMA programme is able to keep us all sooooo busy, that we have no choice but to make choices…choices about what’s important, what’s not important, what to do, what to leave undone, and which activities to do when. WE get to make those choices and I’m very grateful that we’ve been presented with this whole structure. For years, I’d been overwhelmed by having over 100 things on my TO DO list; now, I much more easily prioritize 5 to 10 things per day…and the one service and one step to move my DMP goals forward each week. This system is brilliant! This week, we learned that we live in a creative age…and that “every form which matter takes is but the expression of some pre-existing thought.” Haanel writes, “You can originate thought, and, since thoughts are creative, you can create for yourself the things you desire.” We have a choice to be passive recipients or to consciously direct our thoughts and, therefore, what comes into our lives. We know that the mind, which pervades the physical body, is a result of our heredity, of our environments, of all our past generations. And yet, we can choose to use the desirable aspects of our heredity AND to suppress undesirable characteristics. “Being of service” has been much on my mind these last few weeks and I recognized, this week, that when I left the stage, which had been my life for so many years, I really didn’t know how to find that aspect of “service” in my life, as a specialized kinesiology instructor and practitioner. “The great fact is, that the source of all life and all power is from within. “This power is from within, but we cannot receive it unless we give it. I saw my best way of being “in service” to mankind unfold during one person’s private session, while I was in Northern BC and the Yukon for 2 weeks. What I “got” during the session was that I was making a strong yet tender heart-connection with my client, and “giving 100% of myself” for the highest good of all concerned, as we first addressed the physical pain – then worked to gently release the underlying emotional trauma and pain, which in turn released the physical pain. Even my client’s request to learn to strengthen her voice so she could be heard, was a request that I could fulfill. Indeed, for years, people had suggested I “take my singing into my healing work” yet previously I wasn’t open to seeing that as an opportunity for me. Now, after this one session, this person was so pleased with the results that they asked if they could bring their whole family down from a remote village in Northern Canada to the Sunshine Coast in Southern BC to work with me. I was blown away! And thrilled! And deeply honoured to be asked this. The insights I received afterwards, during one of my SIT’s, led me to believe that my path in my specialized kinesiology work is to assist those people who are living with the effects of PTSD (such as the First Nations people who have gone through the Residential School System in Canada) to recover their emotional well-being, their self-esteem, and their voice, so they can become who they WILL to be. I do this by using my specialized kinesiology tools to help release mental and emotional stress; by integrating the Fear/Paralysis and Moro Reflexes, which continually stimulate the “fight/flight/withdrawal” responses in those with PTSD; and by visiting sacred places on the Sunshine Coast and celebrating them by singing music which was written to celebrate the Canadian Wilderness. All of this, I see happening within a Centre for Emotional Wellbeing for the Survivors of the Residential Schools which I co-create with the Shishalh First Nations people in Sechelt on the Sunshine Coast of BC. One person I was speaking with this evening, said the time is right for this type of project. Our new Prime Minister, Justin Trudeau, has just sworn in Jody Wilson-Raybould as Canada’s Minister of Justice and Attorney General. She is the first Aboriginal Justice Minister in the history of Canada. I’m finally proud to be a Canadian again! So now it is up to me to “take posession” of this opportunity and to “use” all my tools and talents “properly” in order to manifest this vision in the world. Mahalo to all. I know this is late. No excuses. AND, I was up in the Yukon Territory and a tiny community of 400 people teaching 3 one-day classes, a consultation for an Elementary School, and 24 x 105 minute private sessions all in the space of 14 days. It was exhausting and exhilarating at the same time. More below. This trip truly changed my DMP and, I think, deep down I knew it would do so. Although I’d been told there would be Internet connections, I decided to take every precaution necessary by asking for weeks 4 and 5 PDF’s early. I got the ones for week 4 before I left and so could do my reading and my cards, etc. It was a good thing that was arranged – thanks to my guide Lorelei and to Davene getting the week 4 material to me in advance – because in my 2nd week up North (our week 5), I had NO connection to the internet (it existed, but was just DOWN all the time) and for 5 out of the 7 days there wasn’t even a phone connection. Opening the week 4 PDF’s and reading that many people drop out in week 4 – some by choice and some because of missed deadlines – made my Old Blueprint surface for about a day, which I spent sending MANY emails to Lorelei and Davene. Having done everything I could to ensure the work would get done, I let the OBP’s worry go down the “OBP garbage chute” and proceeded to prepare for my trip. For years I had found it difficult to know where to take my work – and indeed which work where and in service to whom? So, as I packed and flew to the North, I asked for clarity in terms of my DMP- do I go back to music? do I concentrate on specialized kinesiology (SK)? can I combine music and SK as I had done in Toronto? In my heart, I knew that I really wanted to help First Nations people recover from the effects of their time in the Residential Schools where they were abused by individuals, state and church. Yet, I had no idea how I could do this. So, I simply opened to the Infinite “I”” and asked to be a channel for the highest good of everyone I worked with and that if this avenue was to develop, I was open to seeing the opportunities. I had always felt that, as a singer, my job was to interpret the work of the composer and poet AND to transport the audience members away from their cares and concerns in their daily lives. That was how I was of service in my music career. This project is where I can join with my husband and others to take our visitors to sacred places on the Sunshine Coast and to sing the short arias by R. Murray Schafer which celebrate the elements of the Canadian wilderness (and just happen to coincide with the 5 elements of Chinese Medicine, upon which some of my work is based): Sun (Fire), Earth, Mountains (Metal), Moon (Water / tides), and Forest (Wood). THIS is how I choose to be of service to mankind. THIS is how I can use all of my tools and talents and live, play and work in the beautiful paradise which is the Sunshine Coast of BC.